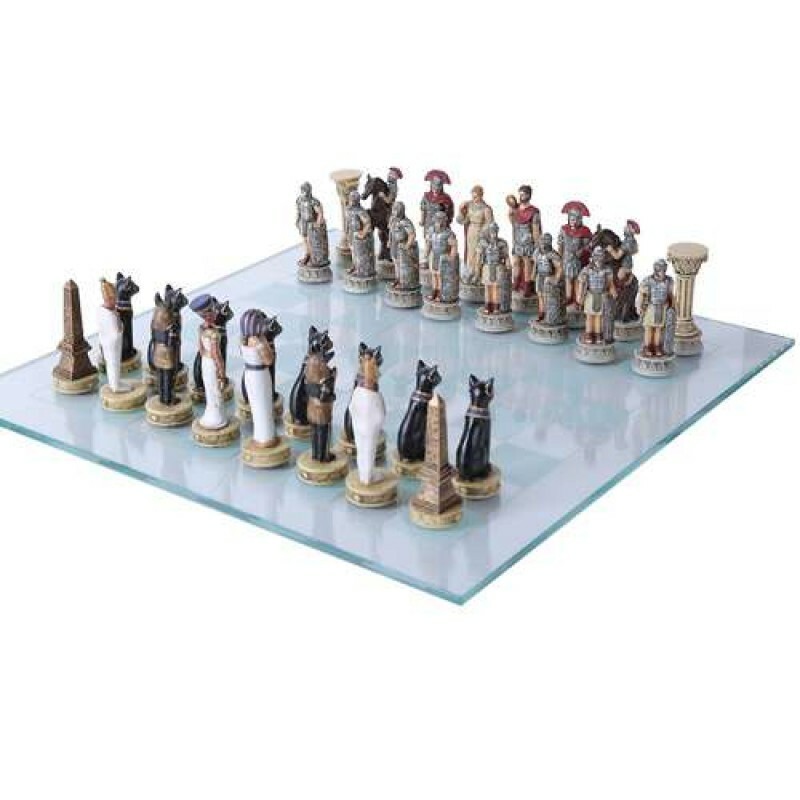 This Egypt vs Rome chess set is pretty enough to keep set up all the time. 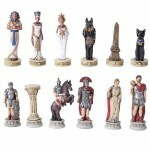 Each cold cast resin chess piece is hand painted with beautiful details. 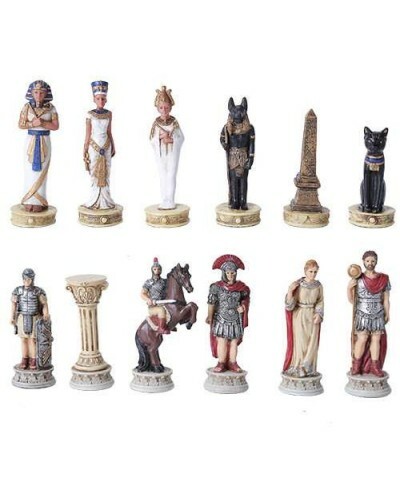 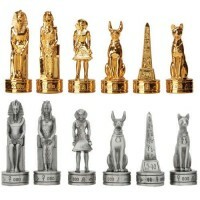 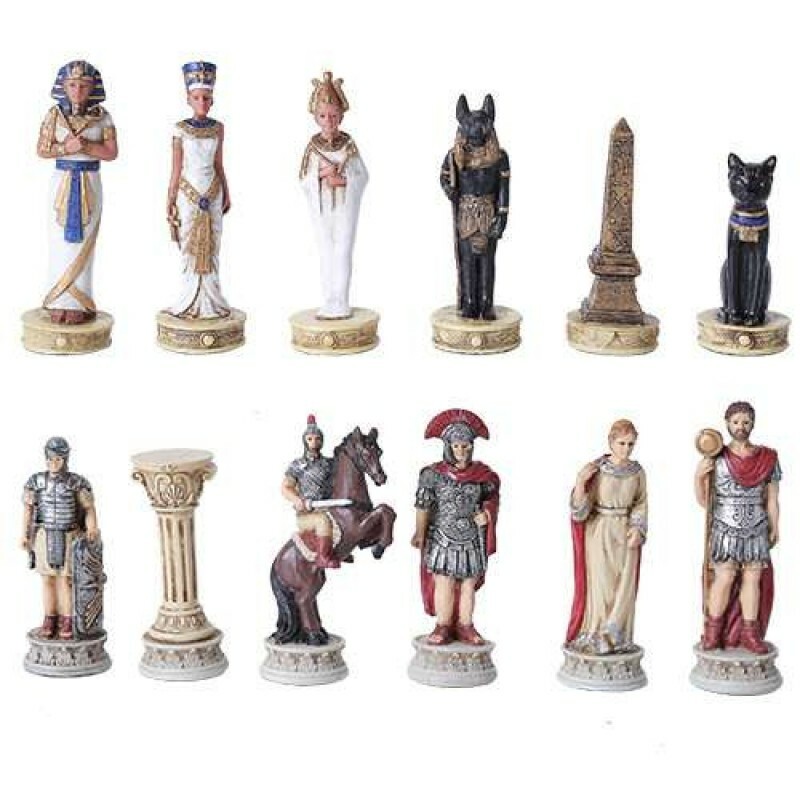 Egyptian Gods and icons oppose Romans on the chess pieces that range in height up to 3 3/4 inches. 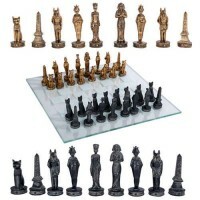 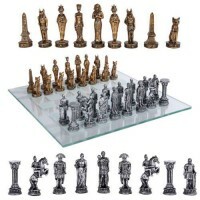 The set comes with a glass 17 x 17 inch chess board that fits the figures perfectly and lends a touch of modern to the ancient Egyptian art. 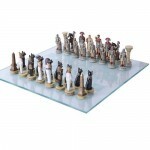 Item Number: PT-11294 | Approximate Size (Inches): 17.00 wide x 17.00 deep x 3.75 high | Approximate Shipping Weight: 5.00 lbs.